Snooker is a cue sport which originated among British Army officers stationed in India in the later half of the 19th century. It is played on a rectangular table covered with a green cloth, or baize, with pockets at each of the four corners and in the middle of each long side. Using a cue and 22 coloured balls, players must strike the white ball to pot the remaining balls in the correct sequence, accumulating points for each pot. An individual game, or frame, is won by the player scoring the most points. A match is won when a player wins a predetermined number of frames. McConachy was born at Glenorchy in Otago in 1895. He was the New Zealand professional billiards champion from 1914 until 1980. He also held the title of World Professional Billiards Champion from 1951 until 1968, when he was defeated by Rex Williams. Glenorchy is a small settlement at the northern end of Lake Wakatipu in the South Island region of Otago, New Zealand. It is approximately 45 km (28 mi) by road or boat from Queenstown, the nearest large town. There are two pubs, a café and a range of small shops in the town catering mainly to tourists but also to the small resident population. There is also a small airstrip which caters to small planes. 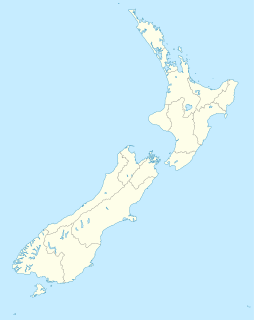 Otago is a region of New Zealand in the south of the South Island administered by the Otago Regional Council. It has an area of approximately 32,000 square kilometres (12,000 sq mi), making it the country's third largest local government region. Its population was 229,200 in June 2018. The WPBSA World Billiards Championships are a pair of international, professional cue sports tournaments in the discipline of English billiards. The formerly singular championship has been divided, since 2010, into separate timed and points divisions, like the amateur world championships. In its various forms, and usually as a single World Billiards Championship, the title is one of the oldest sporting world championships, dating in earnest to 1869. He was the runner-up in the World Snooker Championships of 1932 and 1952. McConachy scored one of the early snooker maximum breaks. He achieved it on Tuesday 19 February 1952 in a practice frame against Pat Kitchen at the Beaufort Club in London on a table reserved for professionals. An official of the Billiards Association and Control Council later examined the table and found it slightly over the standard size and so the break was not accepted as official. At the time Joe Davis held the record for the highest official break of 146. The match between McConachy and Horace Lindrum for the World Championship started the following Monday. Joseph Davis, was an English professional snooker and English billiards player. He was the dominant figure in snooker from the 1920s to the 1950s. He won the first 15 World Championships from 1927 to 1946. The New Zealand Sports Hall of Fame is an organisation commemorating New Zealand's greatest sporting triumphs. It was inaugurated as part of the New Zealand sesquicentenary celebrations in 1990. Some 160 members have been inducted into the Hall of Fame since its inception representing a wide variety of sports. Inductions are held regularly every second year. 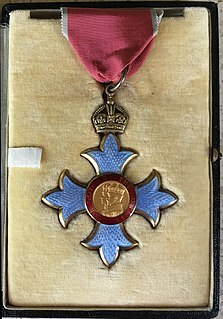 The Queen's Birthday Honours 1964 were appointments in many of the Commonwealth realms of Queen Elizabeth II to various orders and honours to reward and highlight good works by citizens of those countries. The UK Championship, known as the Betway UK Championship for sponsorship reasons, is a professional men's ranking snooker tournament. It is the second-biggest ranking tournament, after the World Championship and is one of the Triple Crown events. Ronnie O'Sullivan holds the record for the most UK titles, having won the tournament seven times. Steve Davis has won six times, while Stephen Hendry has won five titles. However, two of Davis' wins came at a time when the UK Championship's status had yet to be raised to the degree of a ranking tournament. O'Sullivan is the reigning champion, having won his seventh title. In snooker, a century break is a score of 100 points or more within one visit at the table without missing a shot and requires potting at least 25 consecutive balls. The ability to score century breaks is regarded as a mark of the highest skill in snooker, while the first career century has been described by Ronnie O'Sullivan as the "ultimate milestone for any snooker player". Robert James Percival Marshall, OAM was a noted Australian amateur player of English billiards. He won the World Amateur Billiards Championship in 1936, 1938, 1951 and 1962 and was runner-up three times, as well as a national snooker champion. The 1932 World Snooker Championship was a snooker tournament, the final being held at the Thurston's Hall in London, England. Joe Davis won his sixth World title by defeating New Zealander Clark McConachy 30–19 in the final. "Dead" frames were played, the score when Davis won the match was 25–18. Davis set a new Championship record break of 99 in the final. The 1935 World Snooker Championship was a snooker tournament held at the Thurston's Hall in London, England. The 1935 Championship introduced a number of significant changes. It was the first Championship to incorporate "world" in its name, being called the World's Professional Snooker Championship. There was also a change in the organisation of the event with the matches being played consecutively at the same venue. Previously the draw for the event was made early in the season and the players made their own arrangements about the dates and venue. The 1952 World Snooker Championship was a snooker tournament held between Monday 25 February and Saturday 8 March 1952 at the Houldsworth Hall in Manchester, England. The 2012 World Snooker Championship was a professional ranking snooker tournament that took place from 21 April to 7 May 2012 at the Crucible Theatre in Sheffield, England. It was the 36th consecutive year that the World Snooker Championship had been held at the Crucible and the last ranking event of the 2011/2012 season. The 2012 williamhill.com UK Championship was a professional ranking snooker tournament that took place between 1–9 December 2012 at the Barbican Centre in York, England. It was the fifth ranking event of the 2012/2013 season. The 2016 World Snooker Championship was a professional snooker tournament, that took place from 16 April to 2 May 2016 at the Crucible Theatre in Sheffield, England, the 40th consecutive year that the tournament had been held at the venue. It was the tenth and last ranking event of the 2015/2016 season. 1 2 3 McMillan, N. A. C. "McConachy, Clark". Dictionary of New Zealand Biography . Ministry for Culture and Heritage . Retrieved 17 June 2015. 1 2 "Clark McConachy (1895 - 1980)". New Zealand Sports Hall of Fame. ↑ "Great Snooker Break - The Maximum Score". The Times. 20 February 1952. p. 2. ↑ "Mr Clark McConachy". The Times. 19 April 1980. p. 14. ↑ "No. 43345". The London Gazette (Supplement). 5 June 1964. p. 4978.